Retention is the most important metric for a free-to-play mobile game’s long-term business outlook. If you want to understand the link between a player’s lifetime value (how much money they ever spend in the game) and how long they continue to play your game, Emily Greer gave a GDC talk in 2013 absolutely packed with web data. This post will expand on that talk by highlighting some game systems in Kongregate’s mobile publishing portfolio that we’ve seen successfully drive long-term player retention. It will also highlight the core motivations created by each game and discuss how that system ties into that motivation. An excellent resource on the subject is Quantic Foundry's 2017 GDC talk on the anatomy of player motivations. AdVenture Capitalist offers a simple promise that any fan of idle games can appreciate: click more, get more powerful. Quantic Foundry's talk highlighted idle games in particular as incredible motivators for people who are motivated by the accumulation of power and the desire to complete every quest and collect every achievement. There are hundreds of idle games on the market, though, plenty of which have come after AdCap, so how does this game continue to attract fans and maintain incredibly positive reviews? 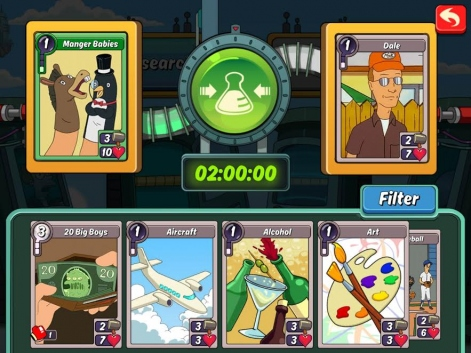 In short, AdCap has a progression system that maintains one core motivation (“collect and complete everything in the game”) while contextualizing it in a simple game action (“make the numbers go up”) and providing a series of secondary aspirations that are individually reasonable but collectively take years to complete. The game introduces these aspirations successively, taking care not to overwhelm the player. 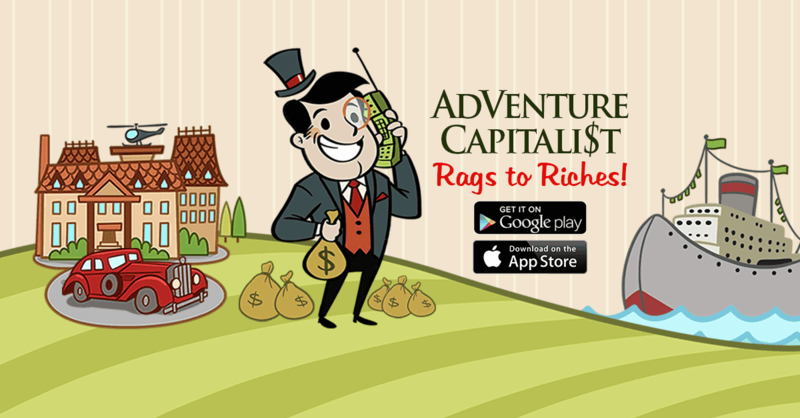 You start with nothing but a simple lemonade stand, become a billionaire with investments in industries ranging from oil to print media, blast off to the Moon and extend the frontier of capitalism to the surface of Mars, and return to Earth with enough Megabucks to bling out your investments and earn every upgrade in the game. By having these layered systems overlap in serving the player’s ultimate goal of completing the game by buying every upgrade and collecting every achievement, AdCap successfully creates a fun experience for players that keeps them coming back for months and years on end. Realm Grinder is an in-progress success story of a small web game with a fanatical following making the jump to mobile and truly sticking the landing. Made by a team of two in Italy, it boasts some of the best day 180 retention stats on web that we’ve ever seen. Like AdCap, it’s an idle game that attracts people who want to grow more and more powerful and complete every last quest. What differentiates it so well that its fans stick around for months and years? In short, it has incredibly strong completionist-oriented systems. To understand its core strength, it’s necessary to highlight the basic content strategy of idle games: players are asked to play through much of the same content over and over at ever-increasing speed due to a game’s prestige system. This sort of repetition can easily stop being enjoyable, and people don’t play games they don’t enjoy. Realm Grinder has plenty of answers to that problem. 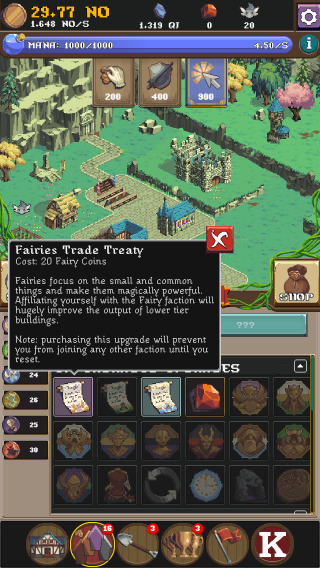 Every time you go through the early game, you’re asked to make two choices: “good or evil?” and “which of three moral-alignment-specific factions do you want to associate with?” Each of these choices changes the texture of your play experience, allowing you to choose how to interact with this idle game’s mechanics each time you go through. Already, a completionist has to play through six different versions of the game and collect their accompanying achievements, but the game is only getting started. Like most idle games, Realm Grinder has an upgrade system. Unlike almost any other idle game, Realm Grinder tracks a huge range of stats about your sessions and playthroughs. Over time, you will learn that the game will reward you with a trophy for playing a specific faction and using an ability at a specific time or day of the week. This extensive trophy collection system is tied to their upgrade system, so earning a trophy typically unlocks an upgrade that you can buy each time through. This is my favorite aspect of the game: instead of making their progression system reliant on doing the same thing over and over, Realm Grinder forces players to explore as many different corners of the game as possible to earn new upgrades. By pushing players into a varied play experience and introducing complexity to them slowly (I’ve touched on fewer than half of the systems in the game here), Realm Grinder creates a fun experience that allows for nearly endless exploration and completion -- it has hundreds of trophies, many of which have hidden requirements for earning them: you have to play the game in different ways to earn each of them! (Or, of course, you could go look up the requirements on their Wiki, but where's the fun in that?) As a result of their trophy system's innovative design, Realm Grinder remains genuinely novel after many months of dedicated play. It’s no mystery that its players choose to stick around. Animation Throwdown is a triumph of iteration and collaboration -- it was our fourth game on mobile with Synapse Games, and our second with Chinzilla. 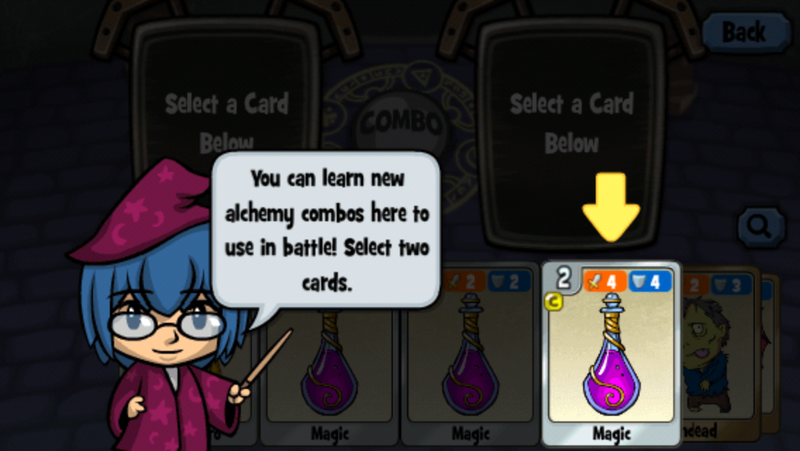 One of our business goals with Animation Throwdown was to improve the long-term retention of the typically well-monetizing Synapse card collecting games, and to that end, we adapted Chinzilla’s Research system from Little Alchemist. To understand why the Research system is a perfect fit for a card game, it's necessary to get inside the head of a dedicated CCG player. Luckily enough, I used to play Magic: The Gathering fairly seriously for most of a decade, so I don't need to use too much imagination: a major reason that CCGs remain fascinating for their fans is deckbuilding -- the motivation to create and explore and express oneself through the tools and shifting contexts provided by the game. The reasons why Research is so appealing to CCG players are because it provides a secondary collection axis (collect all the cards and collect all the combos), a constant mode of discovery, and a daily reason to keep returning to the deckbuilding layer of the game with a fresh perspective on what's possible. By tying these outcomes to a system that forces players to return multiple times a day, the game can pace its content out over the course of months and years and motivate players to come back every day along the way. No matter what motivates your players, if you can understand why your players want to play your game, you can craft experiences that they'll come back to enjoy for years on end. Drew Levin is a Product Manager at Kongregate. A D.C. transplant who used to work in politics and write about Magic: The Gathering, he's constantly fascinated by the ways that systems interact.